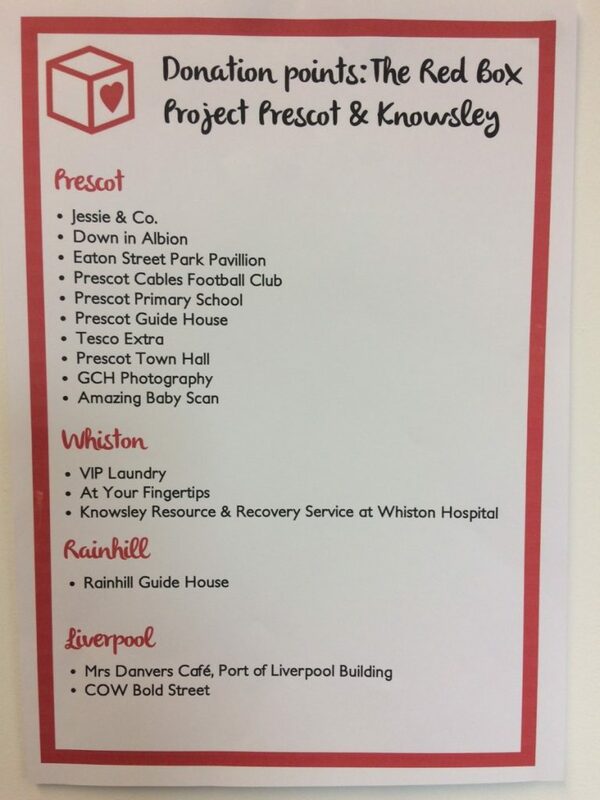 Karl and Clare from The Red Box Project – Prescot & Knowsley came along to the Town Council meeting last night (26/03/19) and provided Prescot Town Councillors with a presentation on what the project is, how it works, how they set it up and what they have achieved so far. 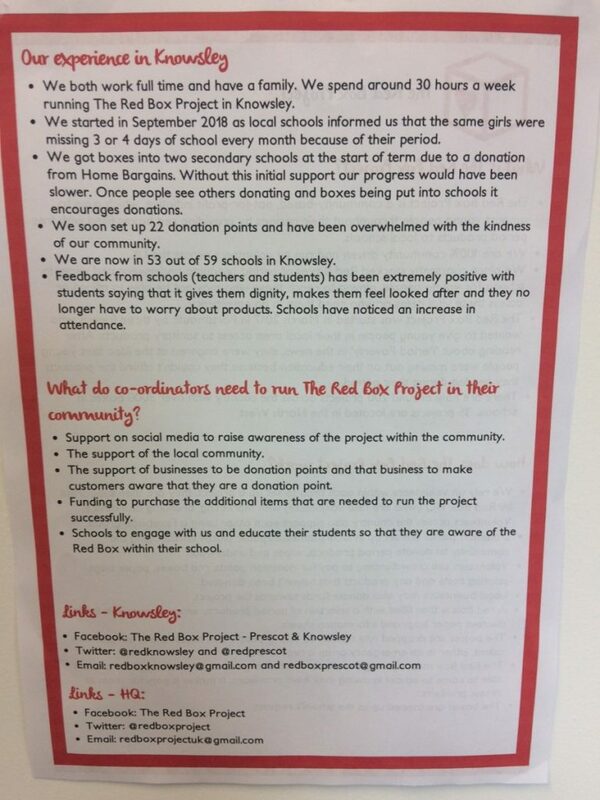 The work they have done to get the project up and running starting initially in Prescot is amazing and they have now been successful in rolling out the red boxes into 53 out of 59 schools in the whole of Knowsley. What a great achievement this is and all through voluntary work and support from local businesses and the community. 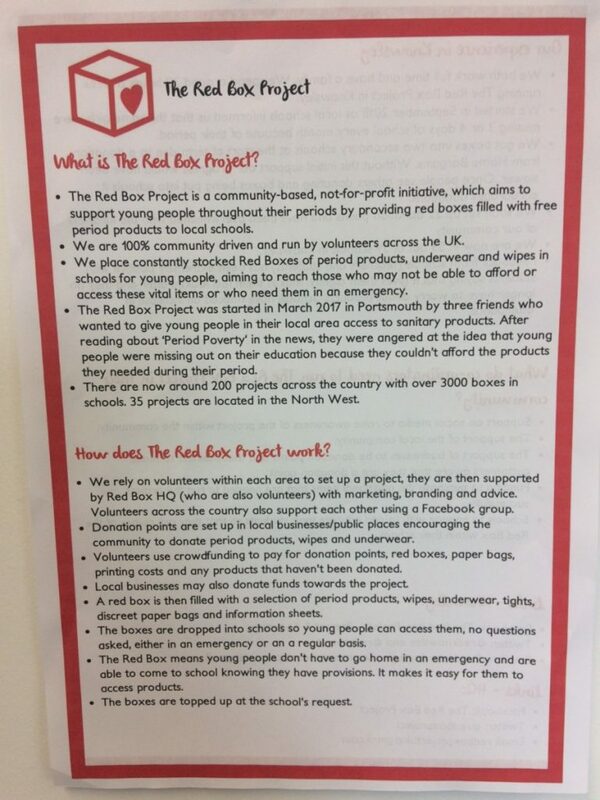 For those of you who don’t know about the project please have a look at the information provided on the attached photographs and give the red box project a like/follow on Facebook/Twitter to get regular updates. If you want to support them please get in touch and there are donation points right across the borough including here at Prescot Town Hall.